It’s well worth walking down the 134 steps to admire these surprising limestone rock formations, sculpted by the elements in Carvoeiro, Lagoa. To the right, you will find a tunnel that opens up to a grotto with two natural openings looking out over the sea, where you can watch the impressive crashing of the waves. To the left, a rock pool and a headland that looks outs towards the horizon and where you can watch the boats go by. Located in the heart of the Algarve’s mountain range of Monchique, this thermal spa, known for its spring water with medicinal and therapeutic properties, has long been sought after to heal physical ailments, for beauty treatments or simply to unwind. No less relaxing is the pleasant park adjacent to the springs, where one can enjoy the green nature calmly and peacefully. One of the icons of the Algarve, the famous Benagil cave is a natural cavity formed over time by the erosion of the wind and water, with a little beach inside. Accessible only by sea, visitors can travel by boat, kayak or, for strong swimmers, by water from Benagil beach to reach the cave in the Lagoa council. A land of wild beauty and nature in its purest form, the Costa Vicentina comprises the coastal stretch along the Alentejo and the Algarve regions. In this region – between Odeceixe and Burgau –, nature has been preserved and the sceneries are quite simply stunning. It comes as no surprise that the south-west of Portugal is home to the largest stretch of protected coastline in the country. Swap the busy beaches for the countryside and drive to the typical village of Alte, between the mountains and the “barrocal” region (the sedimentary basin) of the Algarve, in Loulé. The water from the small Alte river form the famous Fonte Grande pool and ends in the Queda do Vigário waterfall. The bucolic landscape and the picturesque stone picnic area always delight visitors. 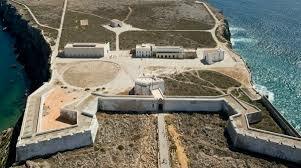 Erected strategically at the top of the Sagres headland to control and provide support for navigators, this imposing fortress dates back to the 15th century. For centuries it was the primary war square of a maritime geo-strategic defence system, and to this day remains an iconic location in the history of the Portuguese Discoveries. Enjoy the vista over the bay of Mareta beach, Cape St Vincent and the vastness of the Atlantic Ocean. Bring your camera and capture this breathtaking landscape in Lagos, a true masterpiece by Mother Nature. Admire the imposing cliffs, the natural tunnels, the hidden caves and the clear waters, walk down the 128 steps and explore each cave with those who know the place like the back of their hands, in one of the small pretty fishing boats. If we had to choose just one worthy representative of the countless beaches in the Algarve, we would have to choose Praia da Marinha in Lagoa without hesitation. Considered one of the most beautiful in the world, this small haven is surrounded by limestone cliffs of the most varied configurations, including arches, caves, leixões (large rocks that protrude from the sea) and blowholes. Enjoy the crystalline water and glimpse the wonderful seabed. Tavira is unarguably one of the most beautiful Algarvean cities. 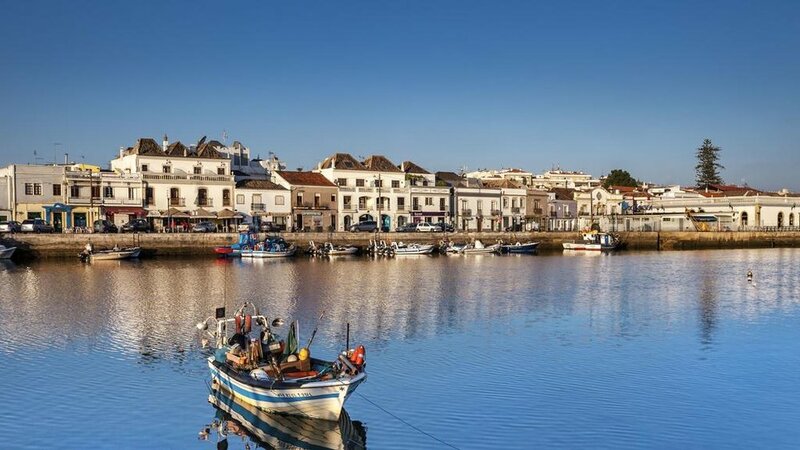 From the picturesque streets that run parallel to Gilão river to the castle walls that provide panoramic views, Tavira is indeed a magical city. Visit some of its 37 churches, three golf courses or nine beaches, and don’t miss the chance to catch the train that takes you to the anchor cemetery at Barril beach.